Are you ready to take your business to the next level? Join and see how technology impacts every aspect of your manufacturing business. 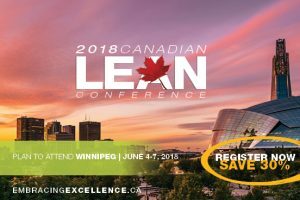 On June 4-7, 2018 Canadian Manufacturers & Exporters (CME) will be delivering a world-class event – Embracing Excellence – Canada’s national LEAN conference, in Winnipeg, MB. 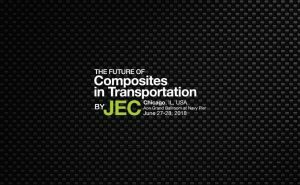 The Future of Composites in Transportation, June 27-28, 2018, will gather the whole composites value chain and the leaders from the ground transportation industries. All countries are invited to join in on the celebration and use Global Biotech Week to showcase their country’s success and the industry’s global significance. Startup Booster is the leading startup competition in the world of Composites. 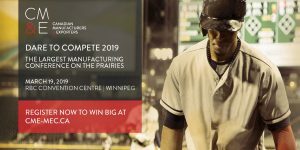 Dare to Compete is the largest manufacturing conference on the prairies. This session will introduce you to the benefits and challenges of using composites in a variety of products including traditional and novel applications.